Fun Things To Do in February! - Putnam Record Agency, Inc. It can be easy to get stuck in the rut of just laying around your house, eating and binge-watching Netflix. But if you think about it, we live in a pretty cool area to survive winter in. Here’s a list of exciting things to do/try this month! 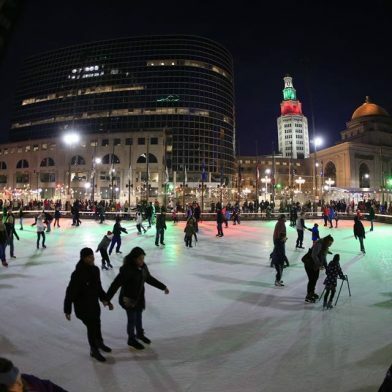 Head over to Rotary Rink in downtown, rent a pair of skates, and glide around the outdoor rink. What a fun way to embrace the best the winter season offers. Weather permitting. Tues-Fri: 11-2, 5-9pm, Sat: 11-9pm, Sun: 11-6pm, closed Monday. 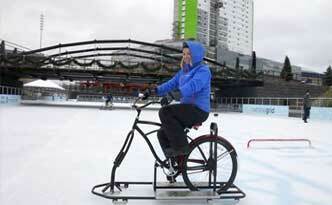 Canalside’s exclusive attraction, Ice Bikes of Buffalo™, combines bicycle riding with ice skating! Ice Bikes are a perfect activity for people who are not comfortable ice skating or for those just looking for a fun and unique way to navigate the Ice at Canalside! Come on out and give it a try! 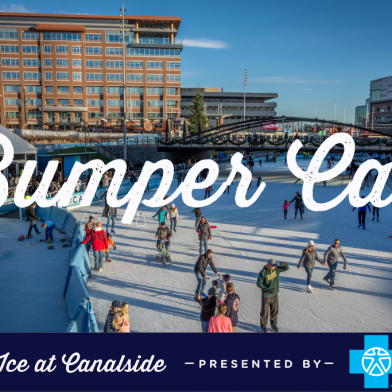 The Ice at Canalside is excited to be offering Ice Bumper Car rentals! Ice Bumper Cars will be available during posted hours on a first-come, first serve basis. Make your reservation today at the Canalside Kiosk or Winter Pavilion. Schedule is subject to change. $7.00 for a 7 minute ride* *Each experience is 15 minutes long including the 7 minute on-ice session. Please check site for hours as they may change based on conditions. 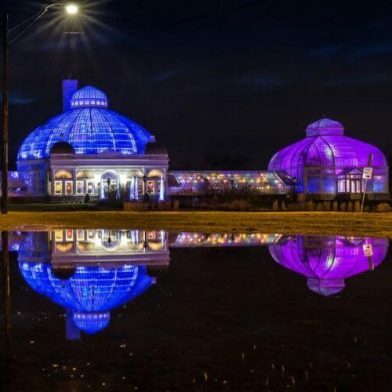 The Magic of Air – The interior of the Botanical Gardens will be illuminated to excite imaginations, stimulate the senses and entertain all ages! Air motivates ordinary things to move in amazing ways. There are so many magical surprises in store at this exhibit – colorful and creative lighting, dancing silks, bouncing paper cranes, hot air balloons and kites of all sizes, metallic mobiles, cyclones of fabric and so much more! ComedySportz – Buffalo’s Longest-Running Comedy Show, is improvisational comedy played as a sport. Two teams of professional comedians compete for laughs and points while a referee calls fouls and gets suggestions from you, the loyal fans. At the end of the night, only one team heads home victorious. Everything is improvised, no scripts or pre-planned scenes. That’s why a ComedySportz match wouldn’t be possible without your suggestions (make sure they’re clean, or the referee will call the Brown Bag Foul on you.) ComedySportz matches are all ages events – they’re clean enough for grandma and funny enough for a night out with friends. 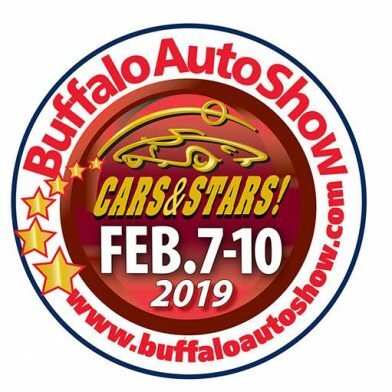 The Buffalo Auto Show is Western New York’s Premier New Vehicle Automotive Event! At the 2019 Auto Show visitors will see the latest and greatest new SUV’s, Hybrids, Minivans, High Performance and Economical Cars and Trucks on the road today! Every new car brand sold in WNY will be on display! On the second Sunday of each month, museum admission for the entire family is just $5, and includes an array of programming. And these are just a few of the events happening in the area this month! You can read additional information about these events and discover more events here. Get out there are enjoy all that our community has to offer!